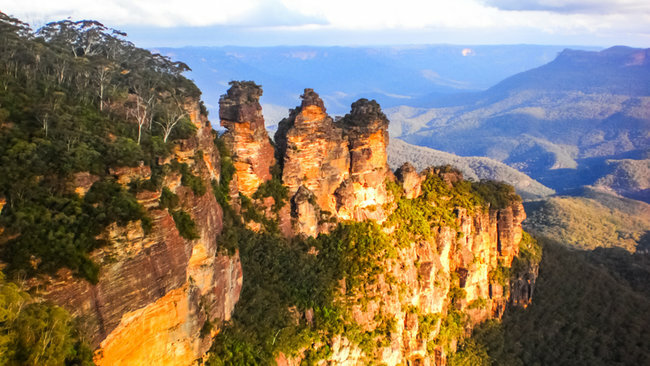 You will experience a spectacular ride on the world's steepest railway, travel across the Jamison Valley in a cable car and see the Three Sisters up close. 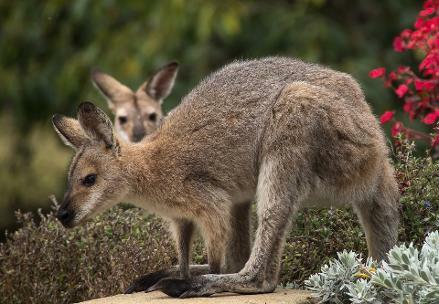 Meet wonderful Aussie animals and even hand feed a Kangaroo at the Wildlife Park! 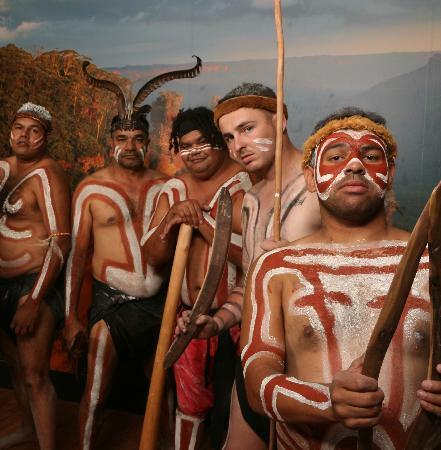 The Aboriginal Cultural Centre and performance will leave you spellbound with a true appreciation of Australia's first people and their fascinating culture. If you don't like large bus tours and want a personalised tour with your own private guide, driver and comfortable vehicle then this is the tour for you! 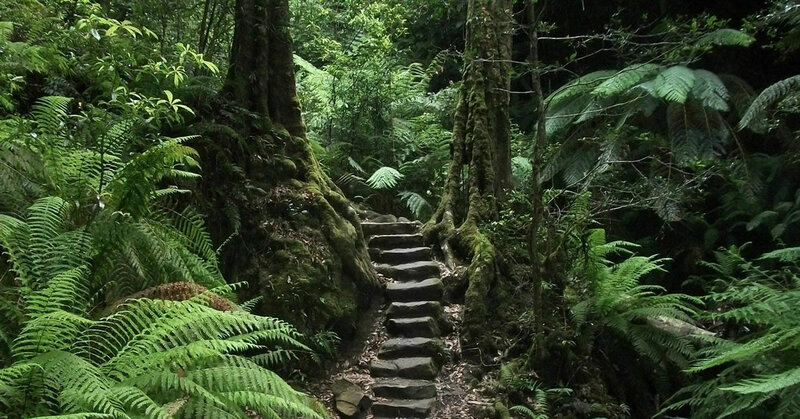 On this Fully Inclusive tour you will see the sights at your own pace without being rushed. 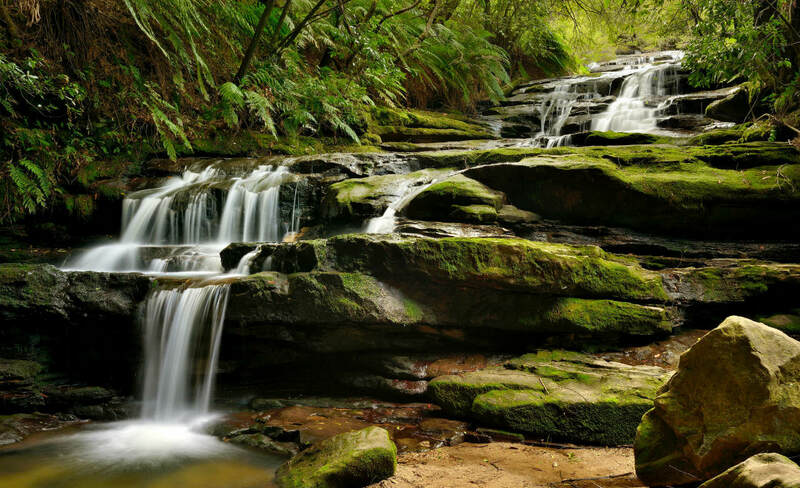 Commence the day with a stress free pick up at your hotel or accommodation as we leave the city behind and head west through the Nepean Valley and towards the Blue Mountains. 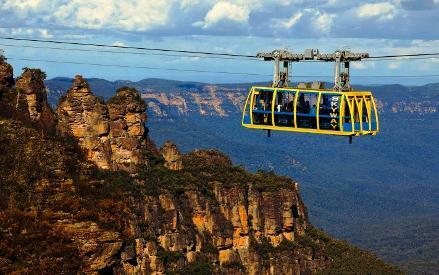 Arriving in mountains the tour starts with a journey on the Skyway Cable Car across the Jamison Valley for breathtaking views of the Three Sisters and the ancient sandstone escarpments. 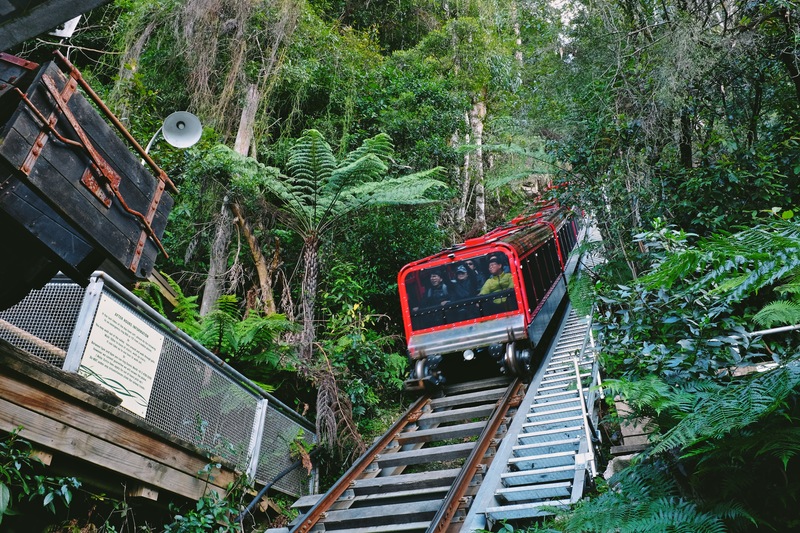 Experience a thrilling ride on the world’s steepest railway in the comfort of a state of the art glass ceiling carriage as it descends to valley below. 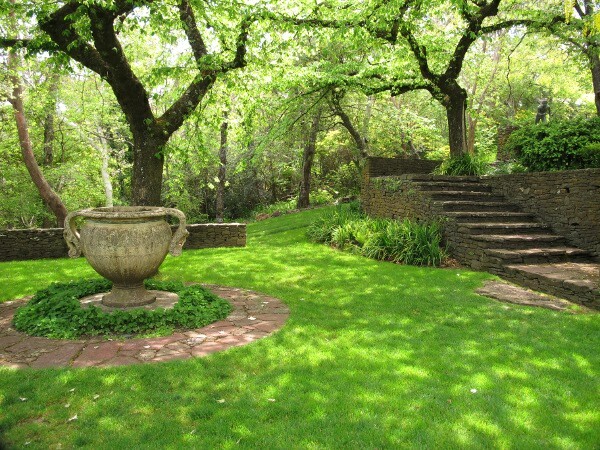 You will enjoy a complimentary Morning Tea in a beautiful scenic location. Once refreshed, visit the Aboriginal Cultural centre for the enthralling dreamtime storytelling, didgeridoo and dance performance. At the gallery there is an opportunity to view and perhaps purchase authentic aboriginal artworks. 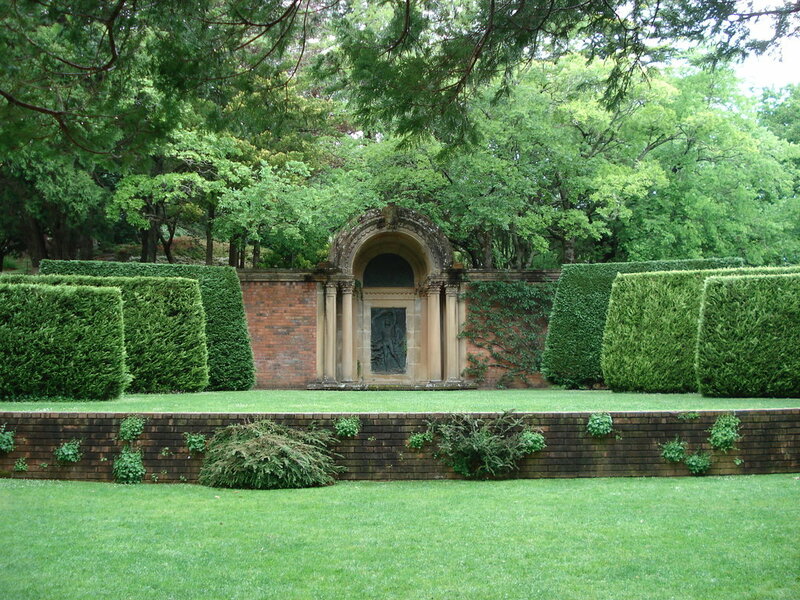 This tour visits wonderful hidden locations where larger buses do not go. 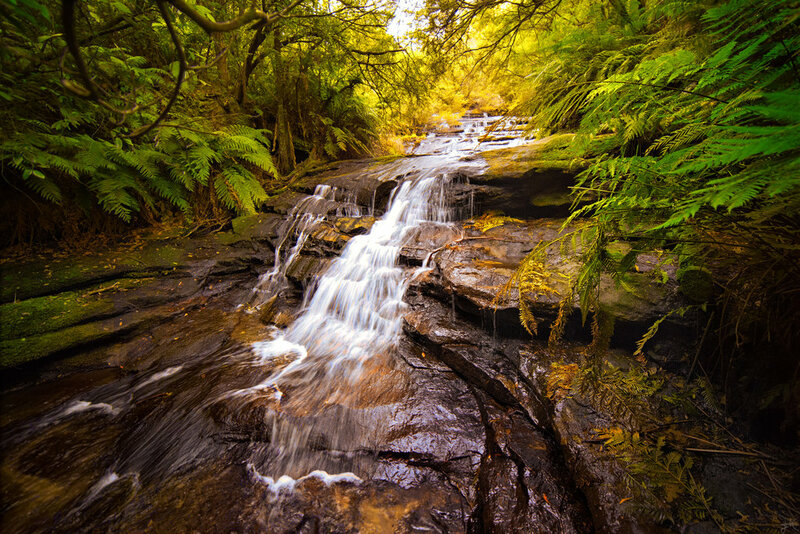 There will be opportunities to take easy short bush walks to spectacular waterfalls and lookouts with your personal tour guide. 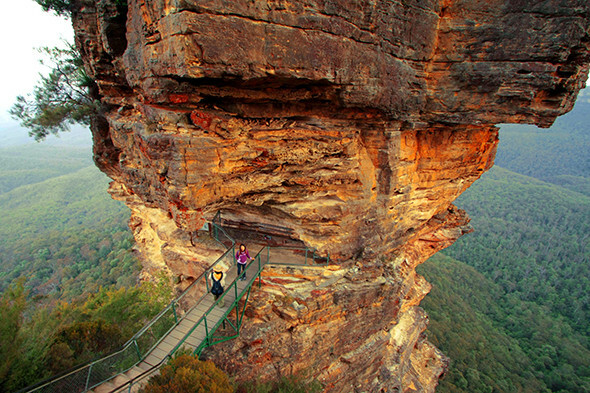 At Echo Point If you are feeling energetic you might walk down the ‘Giant Staircase’ to the walls of Three Sisters rock formation or stop at the Echo Point lookout for amazing views and fantastic photo opportunities. 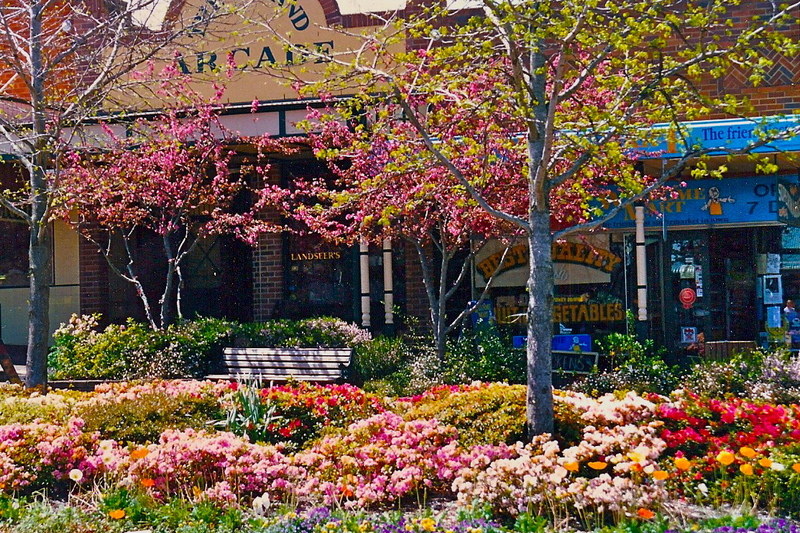 Lunch will be in the village of Leura where guests can get a bite to eat and take a leisurely wander around the high street. 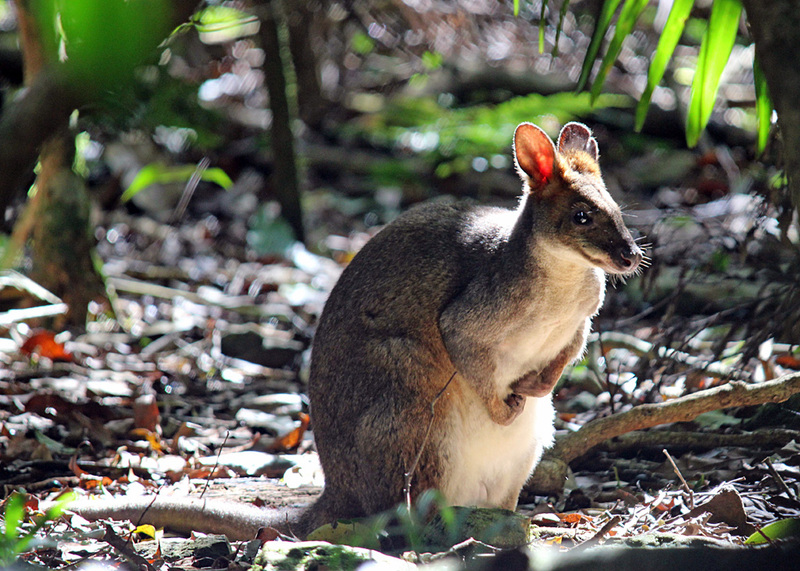 In the afternoon the highlight is a visit to the Wildlife Park located in a bushland location where you will meet many of Australia's weird and wonderful Snakes, Reptiles, Koalas and even hand feed Kangaroos. 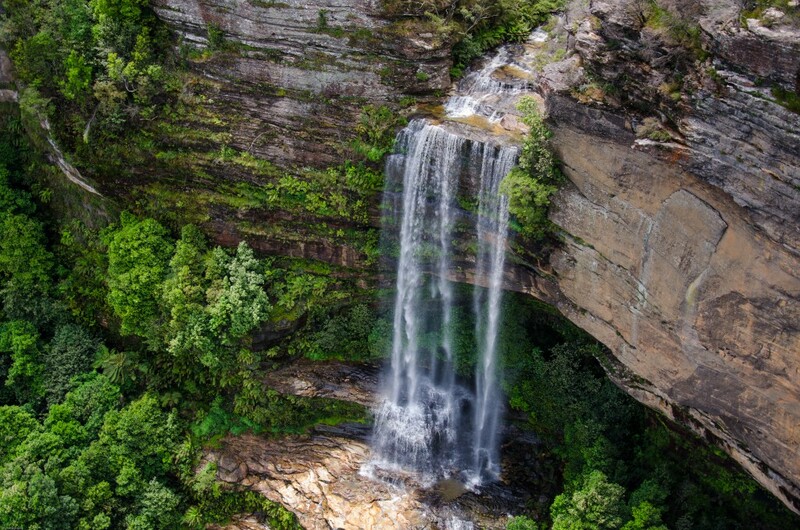 Throughout the tour your guide will provide an informative commentary and as it is a private tour if you want to spend a little more time at an attraction or go for a scenic bushwalk then we can accommodate those special requests! 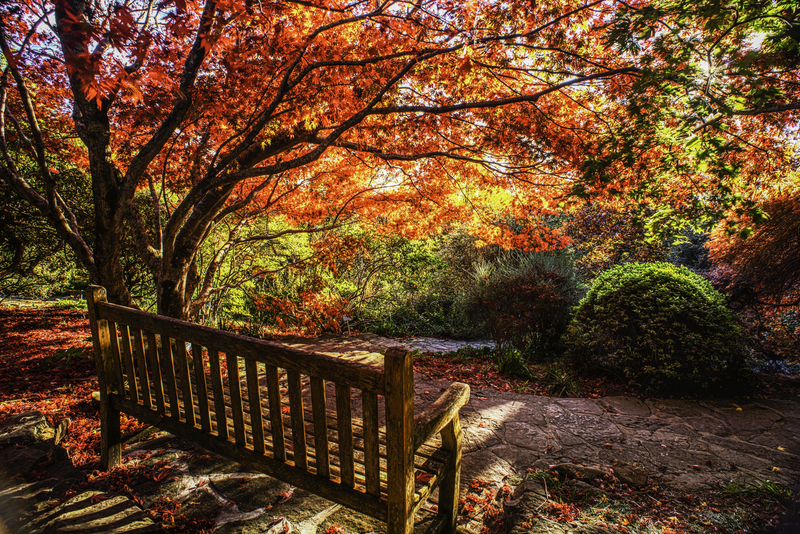 Finally, at the end of the tour you can relax in comfort as you are driven back to your hotel or accommodation taking with you memories of a wonderful day! 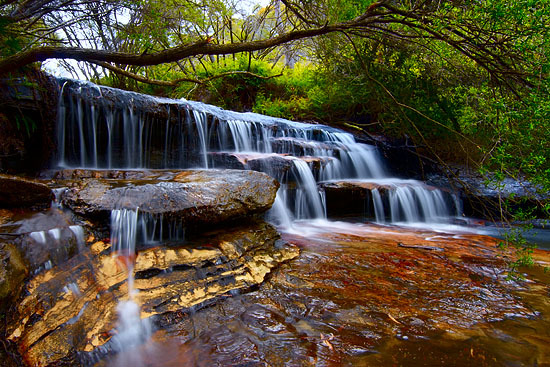 "I have recently been on the Blue Mountain's Day tour provided by Sydney Private Day Tours. It was such an amazing experience with the beautiful scenery and the friendly tour guide who explained everything clearly and concisely. 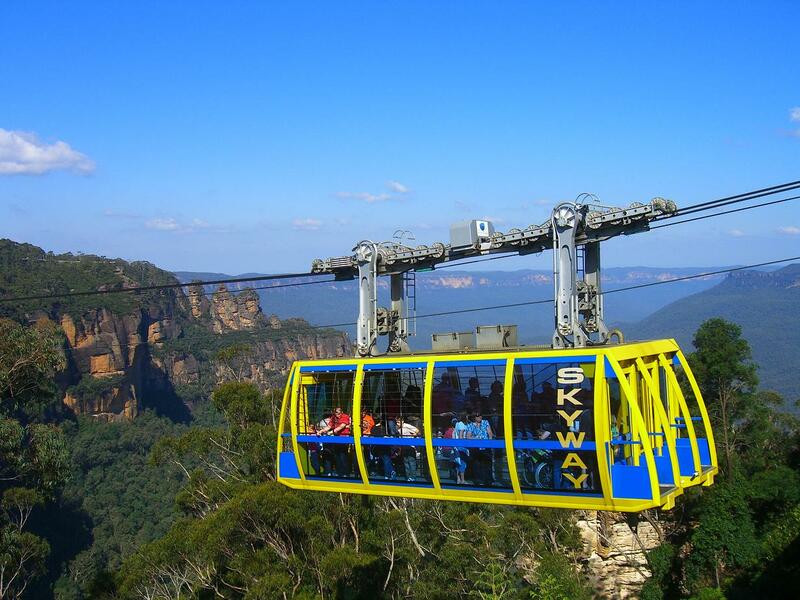 I have really enjoyed learning about the Aboriginal culture and viewing the blue mountains from the Skyway Cable Car. The free morning refreshments were a bonus. 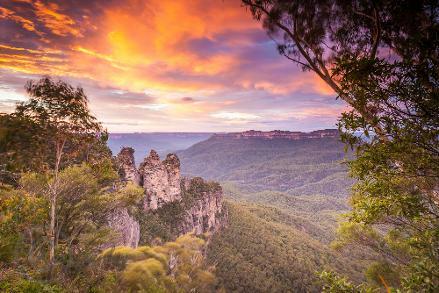 Overall, I would definitely recommend Sydney Private Day Tours to my friends and family and no doubt will come back again for sure!" 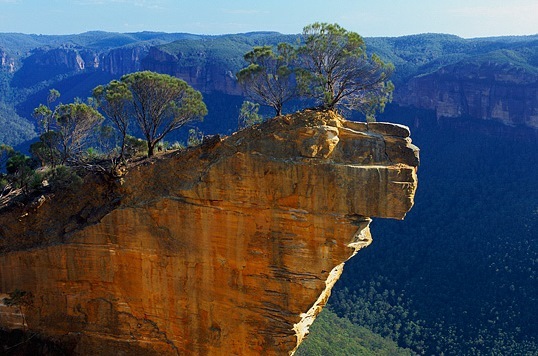 "Blue Mountains tour was GREAT!!!! Worth every cent. We got to see so much more than we would have on a big bus tour. The guide was awesome and made plenty of stops so we could take photo's, walk about and see sights where the main bus tours don't go. 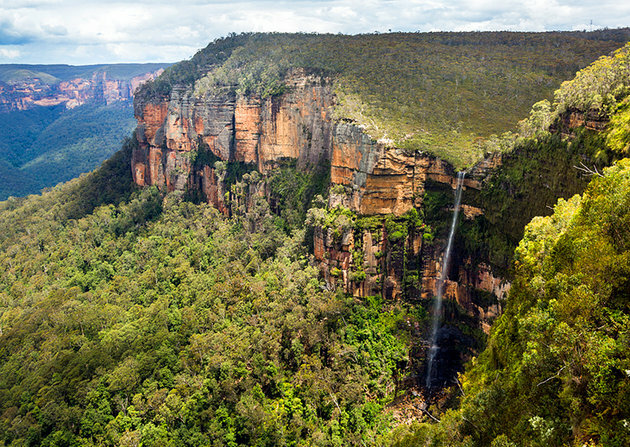 Highly Recommend Sydney private day tours for anyone who wants to really experience the mountains and sydney area. 5 Stars guys - Thanks!" "Absolutely loved our Tour! The guide was a great at explaining all details! 100% would recommend to friends!" 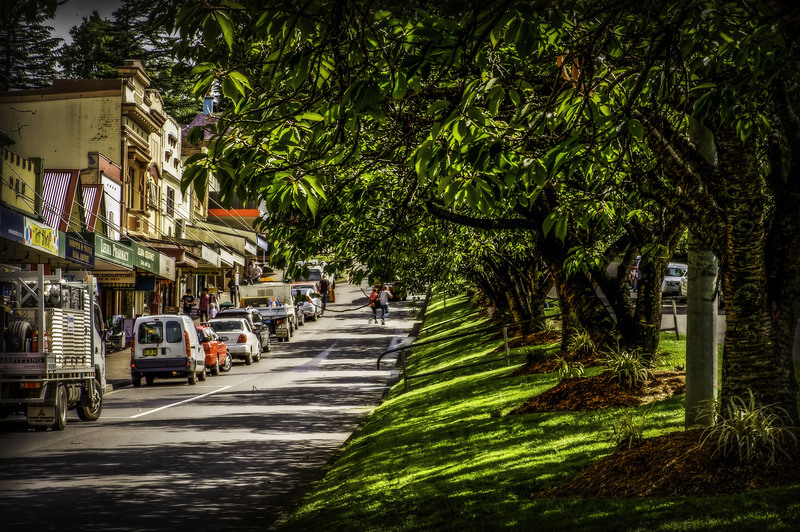 "We were having a great time - so good we did a tour on our two days in Sydney. visitng the mountain and the city too on the second tour. we have told all our friends we love this and we have fun with the friendly guides who really love this city and tell interesting details about the city and mountains aborigijne history"